A new tradition was born this week in Fayetteville. It started, as most EPIC ideas get started these days, by a Facebook post. The post, by none other than the Reverend Abigail Letsinger, Pastor of New Communities at Good Shepherd Lutheran Church, sparked a flurry of of responses creating a most animated conversation. Soon, our plan was hatched. We would gather together with assorted craft SUPPLIES in hand, as well as 24 craft BEERS to share (think cookie exchange, only 1,000x better!). 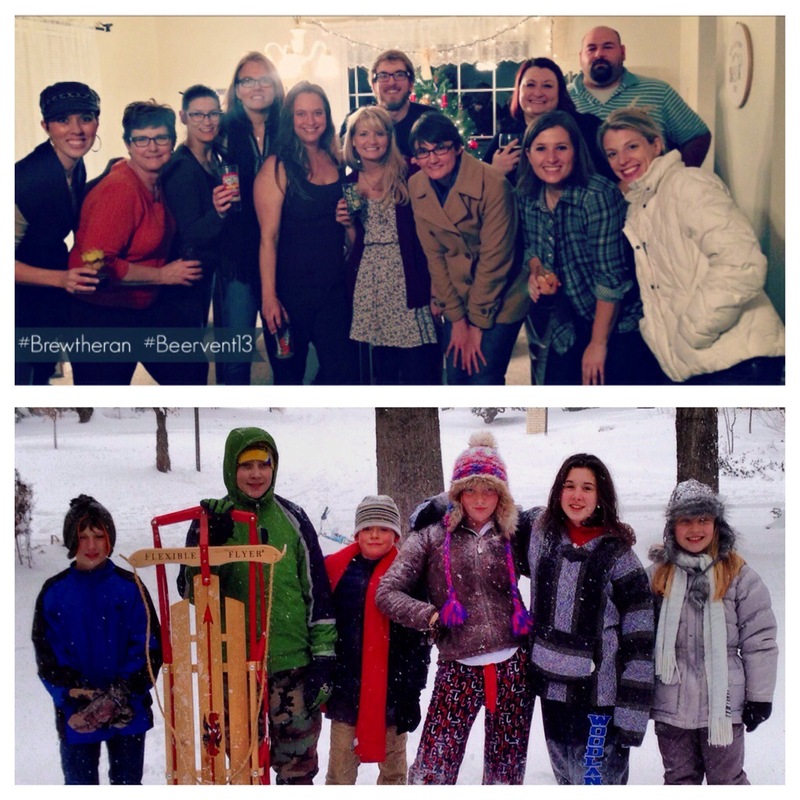 Winter, holiday and of course LOCAL brews were preferred. 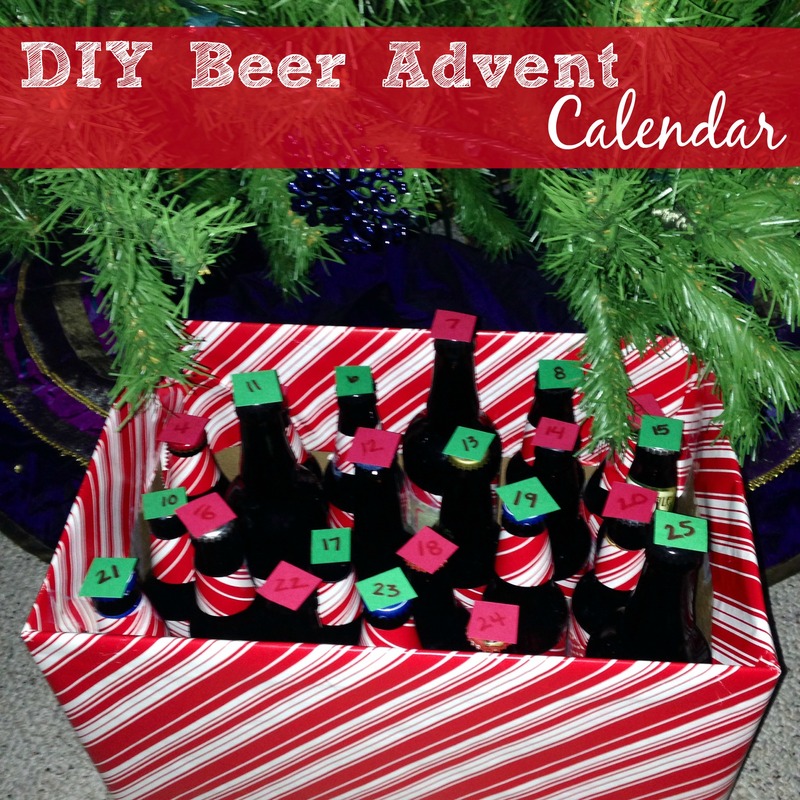 Together we would create our own beer Advent calendars to count down to Christmas. Everyone brings as many beers as they plan to take home. We did 24 beers for Advent. You could do the 12 beers of Christmas, 8 beers for Hannukah – whatever floats your boat. Don’t forget to bring a few extra beers for consuming AT the party. Round up your craft supplies. Gift wrap, construction paper, glue, scissors, glitter. Use the craft supplies to cover up the beer labels to give it that element of “SURPRISE” that Advent Calendars are famous for. Number accordingly. 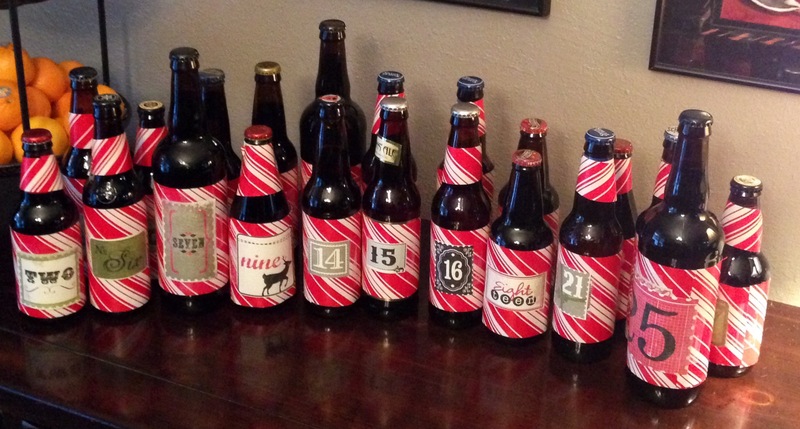 I wrapped my beer box in coordinating wrapping paper, but you could put them in a nice basket under your tree. Enjoy the “brew-of-the-day” each day during Advent. 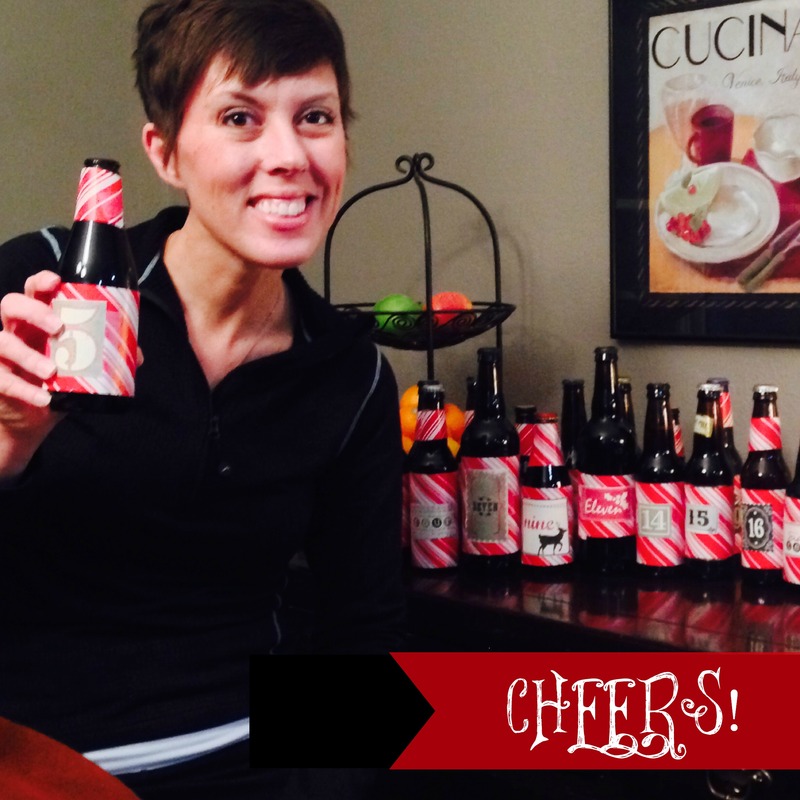 You can even have a “virtual toast” among your friends, or share a beer review each day.